Former Republican senator Kelly Ayotte has joined the News Corp’s board of directors, effective immediately, replacing Elaine Chao, who resigned from the board upon her confirmation as secretary of the United States Department of Transportation. Senator Ayotte, 48, most recently served as a United States Senator for the state of New Hampshire from 2011 to 2017. Prior to her election to the Senate, she was the chief of New Hampshire’s Homicide Unit and Deputy Attorney General of New Hampshire and before that, the state’s Attorney General. 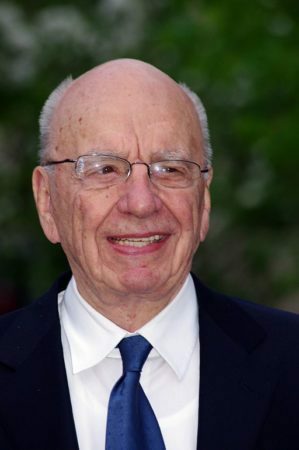 “I am pleased to welcome to News Corp’s board of directors, Senator Ayotte, who brings with her invaluable leadership and strategic planning skills, as well as in-depth knowledge in the areas of public policy, government and law,” said News Corp executive chairman, Rupert Murdoch. 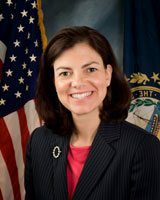 Ayotte is expected to offer valuable insights to the board on private sector innovation from her service on the Senate Commerce Committee, including on its sub-committee on Communications, Technology, Innovation and the Internet, as well as financial experience from her service on the Senate Budget committee. “By providing high-quality news, books, digital real estate services and more to people around the world, News Corp plays such an important role in keeping people informed and engaged while focusing on delivering long-term value for investors,” said Senator Ayotte in a statement. Former policy advisers from the Obama administration are also being recognized for the contribution they can make in the real estate sector. Camber Creek, a venture capital firm that is focused on the real estate technology market, announced in March that former Obama senior policy advisor, Jake Fingert, had become a new partner at the firm with offices in Washington, D.C., and New York. Fingert’s invaluable understanding of the federal government’s approach to selecting, financing, designing, building, operating and maintaining real assets and technologies would make him an asset to the Camber Creek’s investment team, said the company.